Yefymenko, Petro S. [Єфименко, Петро; Jefymenko], b 1835 in Tokmak, Berdiansk county, Tavriia gubernia, d 20 May 1908 in Saint Petersburg. Historian and ethnographer; husband of Aleksandra Yefymenko and father of Petro P. Yefymenko. 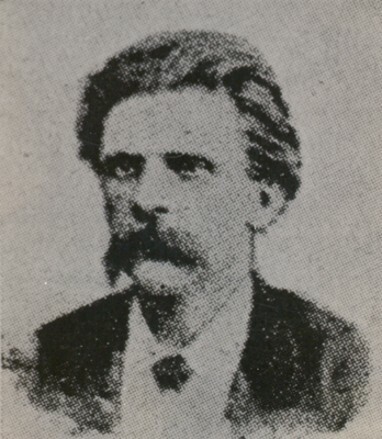 He studied at Kharkiv University and Moscow University (1855–7) and belonged to clandestine student circles, including the Kharkiv-Kyiv Secret Society. He wandered through Ukraine gathering historical and ethnographic materials. In 1859 he was arrested and exiled for 10 years to Perm and then Arkhangelsk. Upon returning to Ukraine in 1876, he settled in Kharkiv and devoted himself to historical and ethnographic research. In 1884–8 he was editor of Khar’kovskii kalendar, in which he opened a special bibliographic section and published a list of Pavlo Chubynsky's works. He contributed articles to Osnova (Saint Petersburg), Chernigovskii listok, and Kievskaia starina on folk spells (1874), the cottage industry of the Sumy region, and folkways in the 17th and 18th centuries and compiled a bibliography of Ukrainian literature. Under the pseud P. Odinets he wrote a booklet on Ukrainian populism (1906).